As employers, can you imagine the consequence of managing your employees just like what people did in past days? Computers along with internet has been commonly introduced in almost all the enterprises and obviously, employee’ s work-flow such as designing, developing or communicating with clients has to be achieved by various applications and computer programs. It is a hot potato that threatened employers’ highly efficient management with confronting with such issues nowadays. According to the survey, 83% of employees take confidential files with them before resignation; 80% of the world’s enterprises have the risk of information leakage; One out of every 400 mails letters contains sensitive information; 96% of the confidential issues caused by employees’ wrongdoing or malicious acts. So now it is a necessary to have a computer monitoring software to help you manage your company. It is crucial to manage and evaluate your employees with a powerful tool – iMonitor EAM. With iMonitor EAM software, employees productivity and computer activities are analyzed and sorted daily, weekly and monthly. All the data and statistics saved and record automatically, which will never lie to you! iMonitor EAM is a local-based monitoring system for monitoring employee behavior. It is composed of an agent, a console and a server program. The console and the server are used to install on the manager’s computer. The agent is used to install on the employee’s computer and enter the EAM server computer’s IP address on the agent computer. After the above steps, you can log on the EAM console to monitor the staff computer, and if you want to view the computer’s logs, just need to check the specific options. Please note that iMonitor EAM server and console program support Windows system, but the agent program supports all Windows systems, Mac OS 10.8+ systems and Linux. It is an easy-to-use surveillance software that provides total employee monitoring solution to enterprises at any size – from large ones to small and medium-size enterprise. Surveillance software like ours is committed to catch and record employees’ computer activities stealthily in 360 degrees, protecting and growing your business by catching and recording employees’ computer activities including online chats, Email, web mail, websites visited, keystroke typed, online storage usage, website search history, download and uploading details, program usage and time, and a lot more, which has wined millions of users’ trust and praise. In his article ”8 Compelling Reasons Why Businesses Should Track Their Employees’ Time”, author Jimmy Rodela notes that employees tend to be more conscious of how they spend their time at work if they know their activities are being monitored. This awareness translates to increased productivity. Furthermore, monitoring employees helps managers adapt to any problems that arise in the field allowing them to be handled more quickly. This ability leads to a boost in productivity because less time is wasted dealing with problems after the fact. Sometimes it’s hard to judge how much time, effort, and resources will be needed to complete a given project. A manager can assume that projects for high-priority clients will need more attention than those for a client who brings in less revenue, but this assumption isn’t the best way to go about allocating funds. With employee tracking in place, managers can see how much time a representative typically spends with a given client and the types of activities he or she performs for that client. This data gives managers a better sense of that particular client’s needs and lets them allot funds and human capital accordingly. The more knowledge managers have of client-employee relationships, the better able they are to distribute organizational resources appropriately. Another benefit of tracking employees is the ability to measure the output of their work as it’s happening. By doing this, managers can see if the right employees are being assigned to the right projects. For example, if a particular employee’s output for a given task is below average, he or she may not be the best fit for that assignment. This indication can lead managers to purposefully coach that representative or potentially appoint a new representative to the project. It is likely that managers will outline a timeline for a project before assigning tasks. With employee monitoring in place, managers can track the time employees are spending on a project and the types of activities they carrying out and see if they are aligning with the proposed timeline. Insights gained from this data can lead managers to coach employees as needed to ensure they are working efficiently or possibly design a new timeline. Either way, monitoring will prevent projects from being delayed because of inefficiencies in the field. My Own Experience with the Computer Monitoring Software! Posted on October 11th, 2017 in Computer and Internet monitoring, Employee Monitoring, IMonitor Softwares, monitoring software, PC monitoring | Comments Off on My Own Experience with the Computer Monitoring Software! My name is Kevin, an owner of an IT company. Our company has been enlarging for ten years and now it is quite a big company. Many people admire that I have an energetic team that full of passion all the time. But they can’t imagine that our company was almost destroyed by an employee several years ago. The employee was one of our technology managers who can master our secret documents. He was bribed by another company to betray our advanced technology. He was ready to copy the file to an USB one day afternoon, he thought there was no flaws. But when he was copying, the alert had been sent to my computer – fortunately, I had already prepared to install a computer monitoring software on my employees’ computers without their notice. I had set the alert for the secret documents for any operation on my employees’ computers. It also captured a screenshot as an evidence. This computer monitoring software saved my company, I fired and sued him for stealing company property. I can’t imagine that my company, my painstaking effort would be collapsed without this computer monitoring software. Its name is iMonitor EAM, I discovered it when I was viewing the web pages: Employee monitoring software: Top Four on the Market. At beginning, I just downloaded it and try for fun, but later I realized that it was quite a good software for me to manage my employees, because I will never notice what my employees are doing when they are using the computers, working or watching TV or shopping or playing games. This computer monitoring software helped me to manage my employees without going around to inspect, it saved me lots of time and budget to find a good employee which can try him best to devote himself to my company. iMonitor EAM has been accompanied with me since then, there are many reasons for me to keep this software. Such as it helps me to find the team, the employees that I can fight together, it helps me to find the potentially risk under my company, it helps me to save the budgets and time to manage them. I really love this software and I’ve introduced it to all of my friends. They are also attracted by its powerful function and the concise interface which is easy to use. I think the computer monitoring software is an indispensable tools for all the company leaders and managers. iMonitor EAM is one of the best assistant to growing the business. If you are also interested in it, you can also search it on google, it will not let you down. How would you do if you wanted to know that what a person was doing on a computer? Some people choose to monitor him directly, but this method is inefficient, can also be found and causing unnecessary embarrassment. In fact, you can use remote monitoring software, it can help you comprehensive understanding of your target computer’s situation without the user’s notification. Nowadays when office workers go to offices, the first thing is to start-up the computer and run the instant message tool. According to the survey, office workers spend lots of time on Internet, the number is much more than the average of normal internet users. But only 10% of the people are doing things which related to work among them. For most of companies, the daily work of employees are basically on the Internet, such as sending e-mail, query information, product promotion, etc., the network brings convenience to the company, might also bring risks to the company. Such as a lot of hackers directly steal the company secrets by invading the network, it will cause serious impact for the development of the companies. Instant message tool is changing the white-collar’s communication, and the use of instant message tool is basically “privatization”. A little people are talking about job completely, most of them are working relationships, and some are friends. 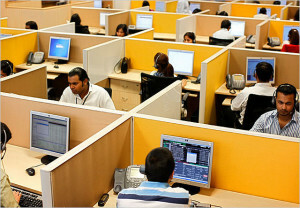 And it is necessary to monitor the computers of company employees, cause some of them will chat, shop and do other things which are not related to the work, resulting in lower efficiency of the staff, affecting the company’s earnings. Some monitoring software supports to automatically record the computer screenshots, it is also used to monitor the computer operating records and Internet records. Widely used in parental supervision of children, corporate staff supervision, school computer classrooms or Internet cafes computer monitoring and management. A traditional department store employee said: “The company doesn’t allow us to chat during work, tech team closed the port”. But for IT and advertising industries, the management of employees is much relaxed. “The behavior of many employees online is uncertain, you may say he is wasting the company’s resources and time, but he will tell you he is searching for news related to the company or industry.” said an AD company’s director of human resources. Is it allowed if the company have no intention to monitor the privacy of employees? The ownership of office computers belong to the company, and the company paid salary for the staff accordingly, theoretically the company has rights to monitor employees during the work. However, the company should establish the appropriate rules and regulations about the monitoring, for example, only the specific person with authority to view the information, and can not be free to spread. Since the network to the company to provide convenience and bring hidden dangers, the company implemented the staff computer monitoring is necessary. Company should choose the most favorable way to prevent the emergence of hidden dangers, the current popular computer monitoring software in the company can prevent it. Why does an employer want to monitor employees computers in workplace? Posted on September 22nd, 2017 in Computer and Internet monitoring, Employee Monitoring, IMonitor Softwares | Comments Off on Why does an employer want to monitor employees computers in workplace? Why do employers want to monitor employees remotely? They monitor their employee computers in order to improve the efficiency of employees without their notification, in this way, the employer can totally monitor their employees computer activities. As an employer, you probably have a natural urge to monitor employee activity. Don’t worry, this is fairly normal, and there are plenty of valid reasons why you might want to keep an eye on what your team is doing. With the computer monitoring software to monitor employees, the company more orderly and safe operation. And it is essential, especially the monitoring office empployees who are using the computers. 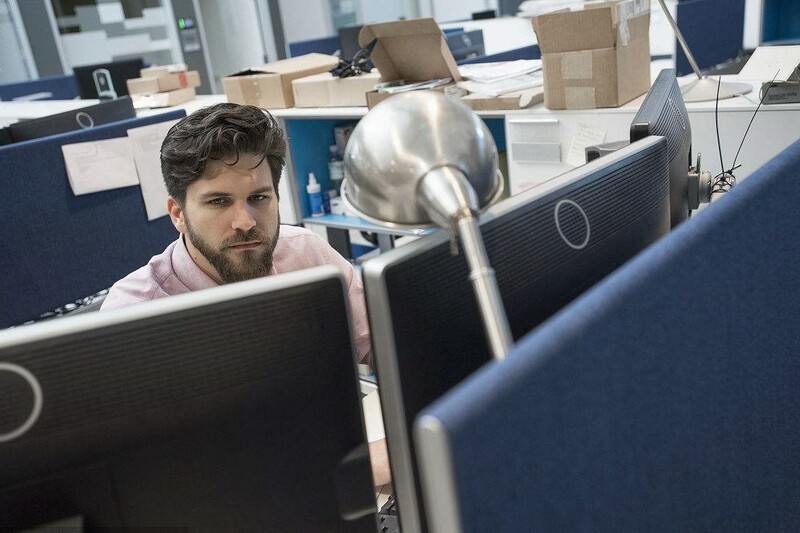 If an employer view the real-time working scene of the employees computers. They just need to use the live desktop function for all the employees computer, then multiple computer desktops will show up in real time, just like CCTV. One day, employer found one employee browses the shopping site during working time. Order to avoid this kind of things happen again, employer can block and filter the website, this settings can be used for one specific employee, as well to all employees. Is it legal to monitor the employee computer during working time? Of course it is legal thing that an employer monitors his/her employee computer. Some employees often do some things out of work during the working time, such as watching video, surf the Internet, do other works, etc. Even some employees are leaking out company’s information. 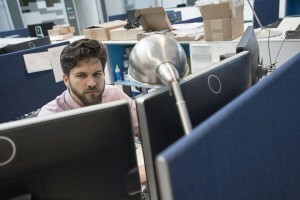 In order to protect company’s benefits, they can monitor the employees’ work environment in computers to ensure effective work results. 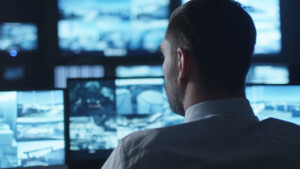 Most computer monitoring equipment allows employers to monitor without the employees’ knowledge, some employers do notify employees that they were monitoring. 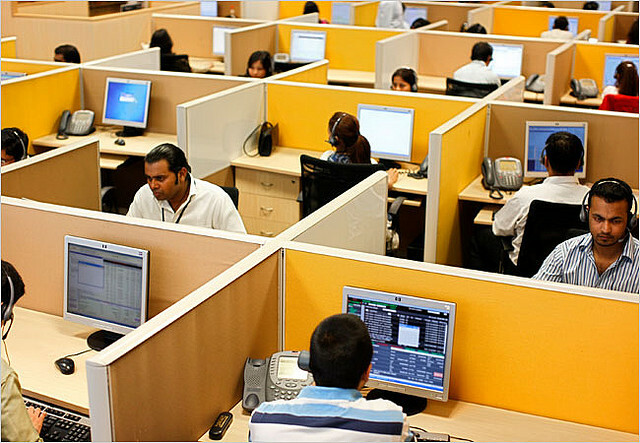 If an employer monitor employees computer without their notification, the employer will know the real working condition of his employees in daily working. Thus improving effectively and save productivities of employees. When an employer let employees know they are monitored, the employees will work hard deliberately some times. In this way, it can also achieve good work results. With employee monitoring software, consist of monitor and agent program, you can collect all agents information from all the monitored computers to monitor computer. And deploy the settings to all the agents at just one time. Most of the enterprise can comprehensively and easily manage their employees all together. Overall, an enterprise choose to install this kind of software to protect their information security, they are not blindly monitor the behavior of employees records. And business leaders to install this product is the normal operation that the company have better to prevent some information security Leaked. After all, it is hard to imagine that some companies lost their important data. Can Employers Monitor Employee Emails? Posted on July 11th, 2016 in anywheremonitor, Computer and Internet monitoring, Employee Monitoring | Comments Off on Can Employers Monitor Employee Emails? Even though a lot of companies have set up email policies for their employees, the trend of using the office Internet for receiving and sending non-work-related emails continues. 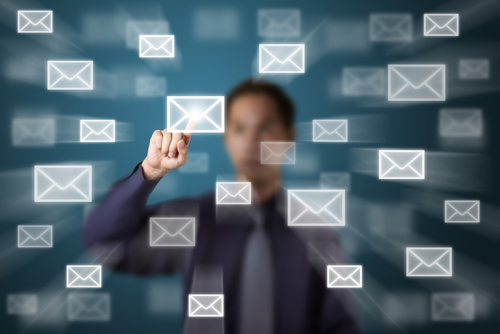 Which makes many of us wonder whether employers can monitor employee emails or not? Many employees are under the misconception that their employers do not have the right to monitor the emails and websites that they access through the workplace Internet. Employees also tend to incorrectly believe that their use and access of emails is private, and should not be breached by employers. However, the law appears to think differently on this matter. In a world where trade secrets and business information are treated as ‘Intellectual Property’, it should come as no surprise that the emails being sent from the office is being surveilled. If employers can make their employees sign a nondisclosure and confidentiality agreement, they are well within their rights to monitor the office emails of their employees as well. In the past, multiple lawsuits have been filed by employees against private employers, based on invasion of privacy rights and the Fourth Amendment’s prohibition of ‘unreasonable searches and seizures’ by government agents, government employers, and supervisors. The courts have sided with employers, and deemed the act of monitoring employee emails an employer privilege, provided a notice is given to the employees about this company practice. In 2000, the United States Court of Appeals for the Fourth Circuit upheld the right of the employer to conduct electronic audits as per its company policy. In the Federal District Court for the Eastern District of Pennsylvania case of Michael A. Smyth vs. The Pillsbury Company, 914 F. Supp. 97 (E.D. Pa. 1996), using the grounds of balancing-of-interests test, the court decided in favor of the company’s interest, thereby allowing employers to prevent inappropriate and unprofessional behavior pertaining to email communications or Internet usage by employees. Thus, employees can claim no right to privacy for non-work-related activities being carried out at the workplace, especially if the employer has disallowed employees from doing so through an email and Internet policy. The employer must have a clearly written email policy in place, and must notify the employees of their practice of monitoring employee emails. Thus, once the employees have been notified about the company policy on monitoring emails, they cannot claim rights under reasonable expectation of privacy. Companies that impose such monitoring must maintain an employee handbook that explicitly mentions the company’s policies on email monitoring and other restrictions. Such a handbook usually explains in detail about the extent of monitoring being practiced by the company. It also informs the employees not to expect privacy while dealing with emails during work. Such a handbook stating the company’s policy is considered to be a sufficient step towards notifying the employees. Consent exception: When the employee reads and acknowledges the email monitoring policy given by the employer. Provider exception: The employer must be the sole provider of the system on which the employee works, and not a third-party servicer. Therefore, employers are allowed to examine emails on the systems provided by them to the employees. Ordinary-course-of-business exception: This exception allows employers to monitor emails sent during the ordinary course of a workday, and includes both work-related and personal emails that were sent from an office system. The aforementioned exceptions and the employer’s right to intercept emails were enforced in the 1993 case of Bourke vs. Nissan Motor Corp., in U.S.A., in which Nissan won the case. Using intercepted emails, Nissan was able to prove that it had not violated the privacy or unfairly dismissed two employees for sharing sexually explicit emails at the workplace. Employers must not delay in implementing such an email policy, as such a policy can act as a handy tool against privacy claims, and prevents sensitive business information from being breached or leaked. So that means, as the owner, we could choose some employee monitoring software, like the iMonitor EAM or iMonitor Keylogger Pro, to help you improve employee work efficiency and productivity. I am interested in using your computer monitoring services in my company. I have a few questions before that though. First of all, i would like to know if it can record remote desktop sessions. Sorry,It can not be recorded. Oh thank you very much, it was a bit blurry on the website and i thought it’s an option. You mean windows Remote Desktop? I think it’s the same thing not a very tech person. But it’s an international company and i have people working. Windows Remote Desktop session can not be recorded, but you can see the screenshots. I suggest you download the free trial to make a test. Can this software be used in a foreign country? Posted on March 31st, 2015 in Computer and Internet monitoring, Employee Monitoring, PC monitoring, remote monitoring, remote PC monitoring | Comments Off on Can this software be used in a foreign country? We need to monitor 65 employee computers, 10 server computers, which means that 10 computers to share monitoring 65 computers. After the purchase, how do I get the software? After your purchase, we will send the full version download link to you via e-mail. What about the after service? We provide one year free version upgrades and free lifetime technical support for users who already purchased. You can try it for 15 days, monitor up to 2 computers. About the Payment, is the bank transfer supported? We are using LAN,can I see the monitored computer’s Live desktop? Yes, you can. Our software has this feature. And you can view multiple desktops simultaneously. I will come to you again if I have a problem . OK, please feel free to inquire. My Girlfriend installed Monitoring Software on my computer ! ! Posted on March 30th, 2015 in Computer and Internet monitoring, monitoring software, PC monitoring, remote monitoring | Comments Off on My Girlfriend installed Monitoring Software on my computer ! ! I have been with my GF for one year, she is very cute but too suspicious and always check my phone and asked me who that person is, and I always worried about i have something with other girls, in one word,she knows my mobile better than me. So I have replaced the girls’ names in my address book name with the relatively short like boy’s names, and dare not to use chat app often.I thought everything will be ok,but it seems like that she still knows my everything,including what video or movie i saw,which blog i entered,when i turned off my computer and went to bed,who i chaatted with on the net.It almost that she knows my everything.At first I thought maybe she checked my web browser records, then I realized that maybe my computer is being monitored by her ! ! Then I found a computer whiz buddy and told him my situation, he checked my computer carefully and confirmed that my computer is installed with monitoring software. iMonitor or something PC monitoring soft.Oh,my god!! I can’t believe it ! I am being monitored!! She knows my everything on the computer.Modern technology is really too strong and too terrible! Being monitored by such a monitor software, I can only listen to her words obediently and do everthing she wants me to do. Please do remember to add the agent program to the antivirus exclusion list before installing. Posted on March 29th, 2015 in Computer and Internet monitoring, IMonitor Softwares, PC monitoring, remote monitoring, remote PC monitoring | Comments Off on Please do remember to add the agent program to the antivirus exclusion list before installing. Yesterday i installed agent software in few pcs but i can’t see them on web console. There are 2 pcs now. Have you added it to the exclusion list on the monitored PC? Please add “c:\windows\system\sys\syscon” to the antivirus exclusion list firstly and restart it. No,you don’t need to write it,just c:\windows\system\sys\syscon . In the drop-down menu, select exception type – File or Folder. In one of the PCs, internet is not working after installing agent. I have uninstalled AVG software as well. Please reinstall agent on that PC and start your PC monitoring. Hi,what can i do for you? Hi,I have installed the software in the monitored computer but then after all websites went down. not able to open any single website. Means not able to open any website. error saying that website is down. Please close browser then open again. I did that many time. I restarted computer 3 times. Any antivirus on that computer? Please add “c:\windows\system\sys\syscon” to the exclusion list, then uninstall and reinstall the agent. where can i find exclusion list? When i click on keylogger to uninstall its asking to select the language. and after closing that window its started installing. There is no option to uninstall. Just run the installer again to uninstall. It started under installation mode. If it does not show you the uninstall option, just install again after you added the exclusion list.